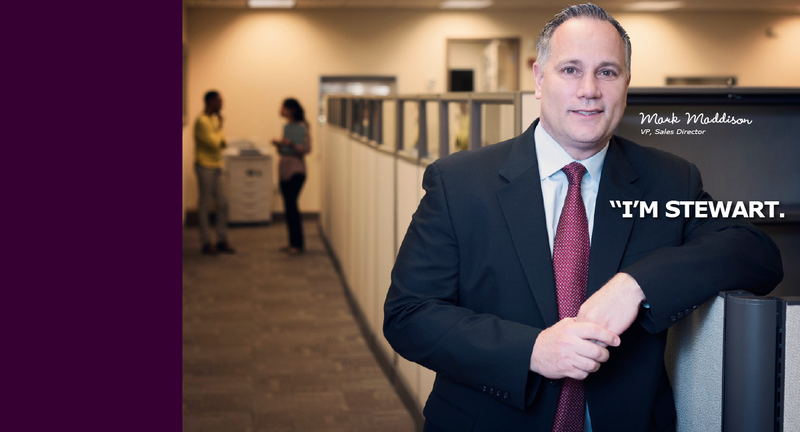 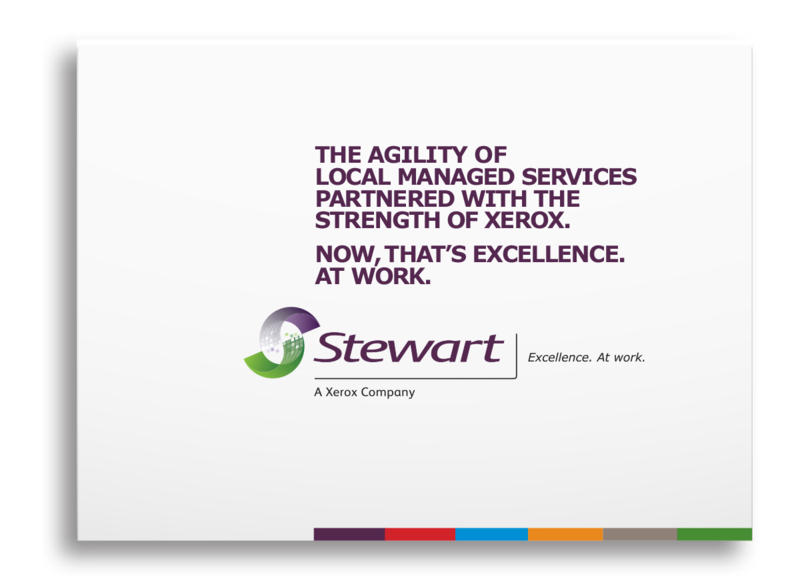 Stewart, A Xerox company is one of the region’s largest and most respected business technology consultancy firms, serving the entire state of New Jersey, Eastern Pennsylvania and Northern Delaware. 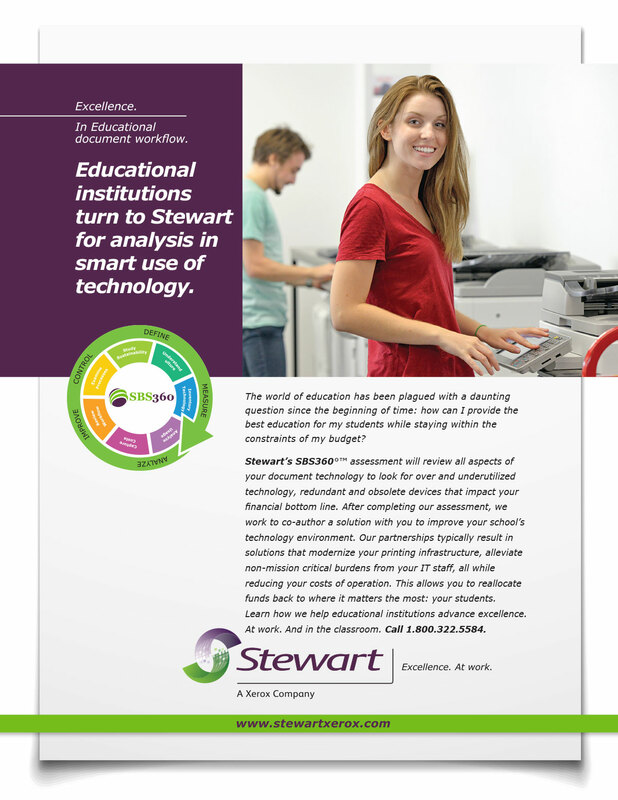 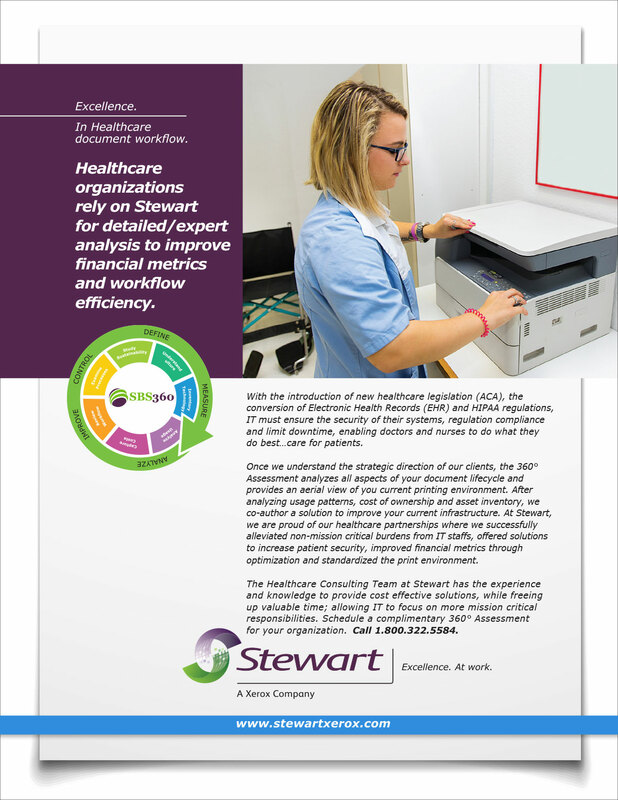 Backed by world-class products from Xerox and a combination of Managed Print Services, Software solutions and local service and support, Stewart provides customers with the best of both worlds – the national resources and strength of Xerox and the agility of locally managed services and support teams. 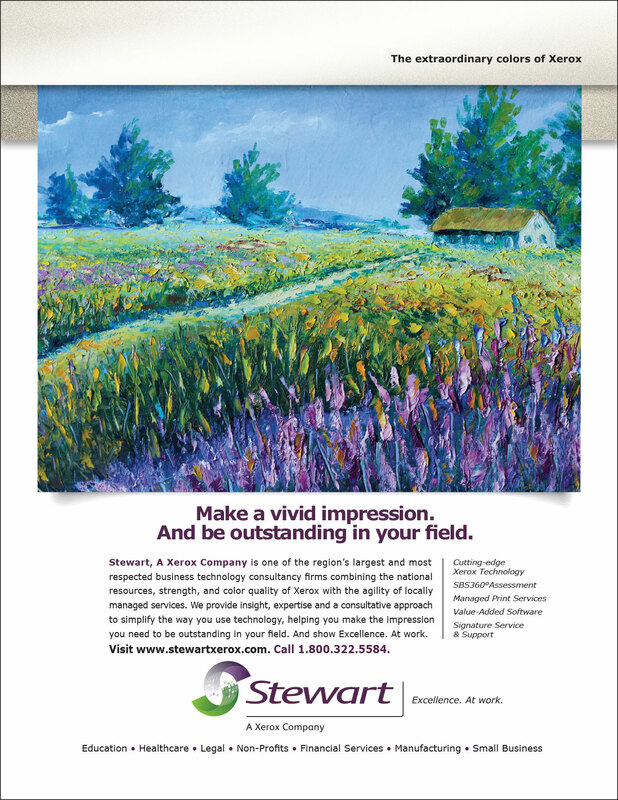 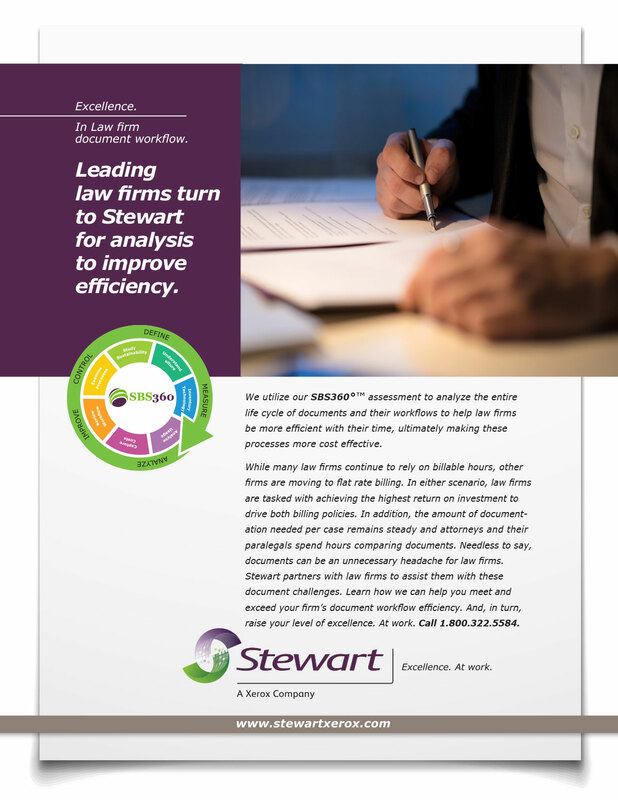 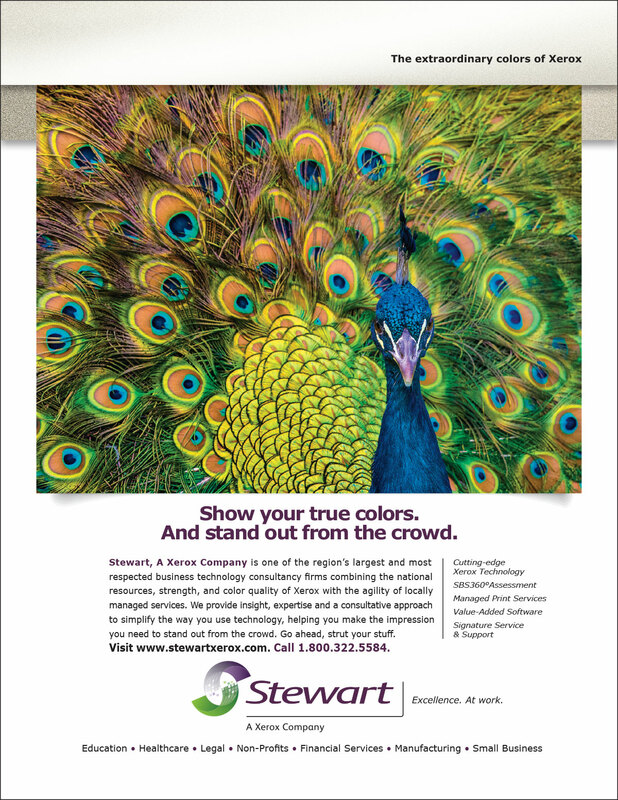 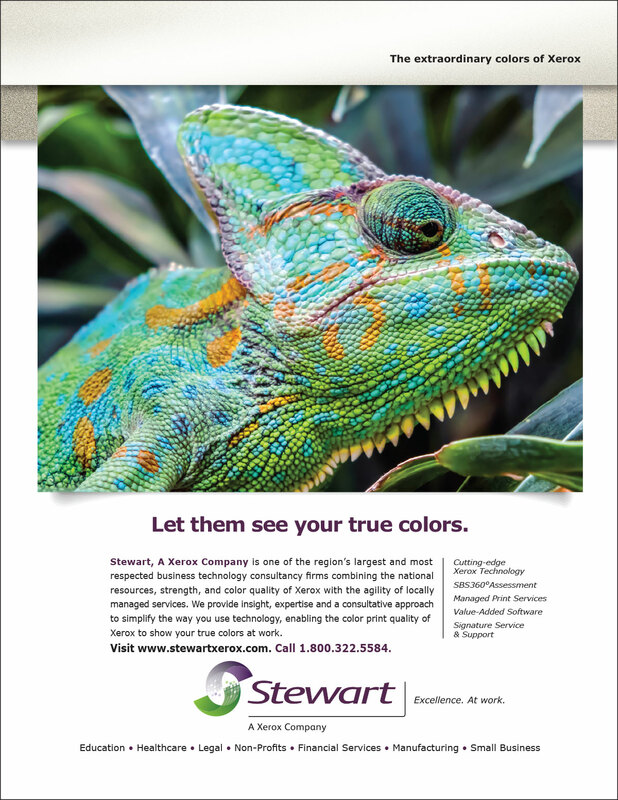 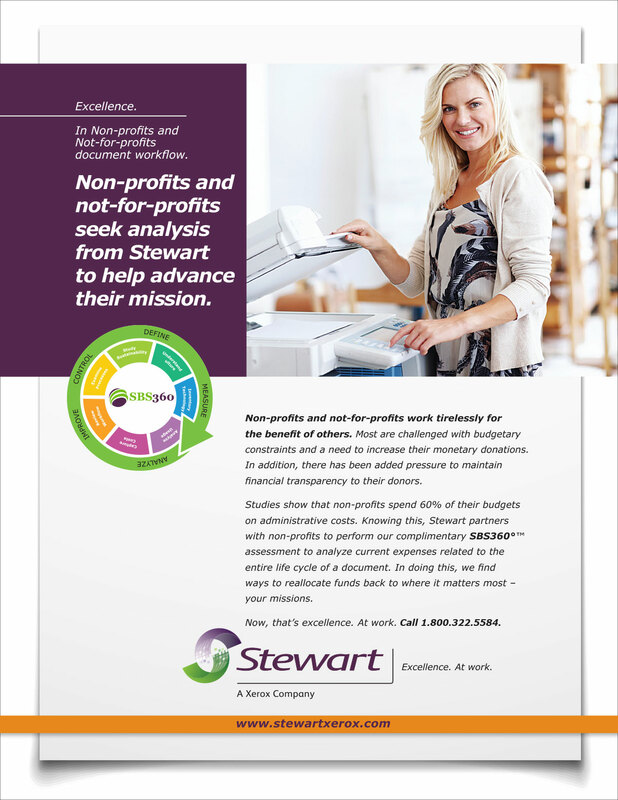 Acquired in 2007 by Global Imaging Systems, Inc., a subsidiary of Xerox Corporation, Stewart turned to StimulusBrand for a complete brand makeover. 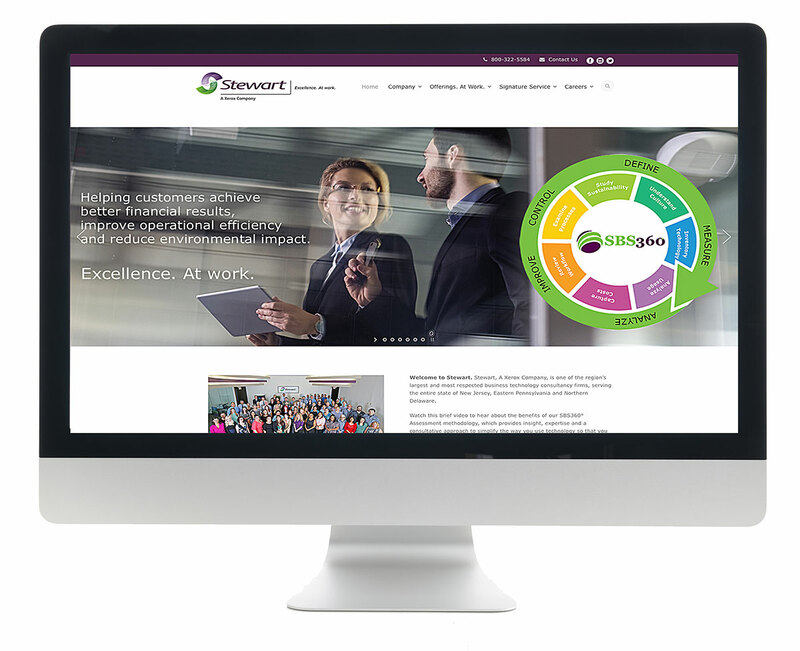 We conducted discovery, developed brand positioning, and delivered a new and consistent brandscape that projected their excellence at all levels.